Qantas Airbus A330-202 Reg. 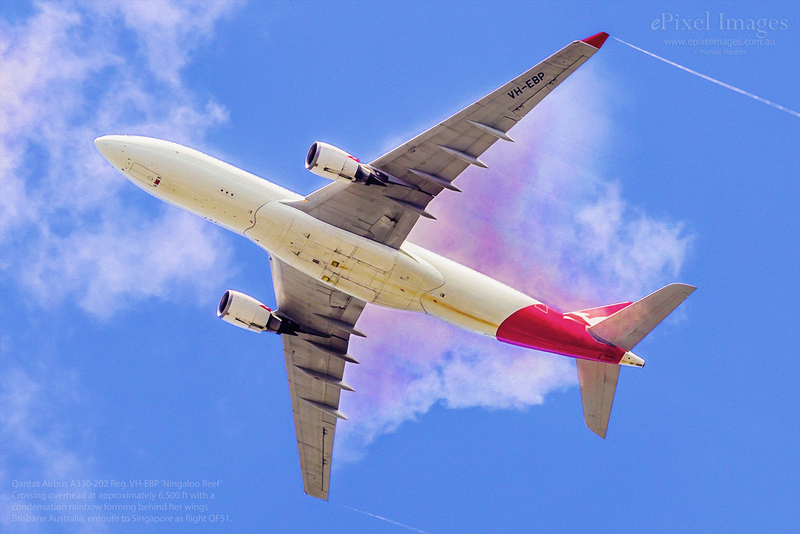 VH-EBP 'Ningaloo Reef' crossing overhead at approximately 6,500 ft with a condensation rainbow forming behind her wings. Brisbane Australia, enroute to Singapore as flight QF51.